Walnut Way uses green infrastructure projects to continue our vision of an environmentally sustainable community with an emphasis on environmental and economic justice. We are honored to be recognized by Milwaukee Metropolitan Sewerage District (MMSD) with the Green Luminary Award, for our unique work connecting workforce development and green infrastructure. We demonstrate projects in clean energy and green infrastructure, train and employ community residents through our Blue Skies Landscaping Program in the installation and maintenance, spark neighbor-to-neighbor conversations and educational opportunities on the importance of the projects, and knit the new developments with existing green assets to form a cohesive sustainability pathway that is based on neighborhood strengths and interests. Green infrastructure activities are needed in Milwaukee and Lindsay Heights because of the prevalence of paved surfaces and rock-hard, compacted, and impermeable soils. During the Milwaukee floods of 2008 and 2010, nearly every block in the Lindsay Heights area suffered from flooded basements and extensive property damage. Walnut Way aims to improve resiliency with green infrastructure projects to avoid future flood-related damage that would be catastrophic to Milwaukee and Lindsay Heights residents, nonprofits and businesses. 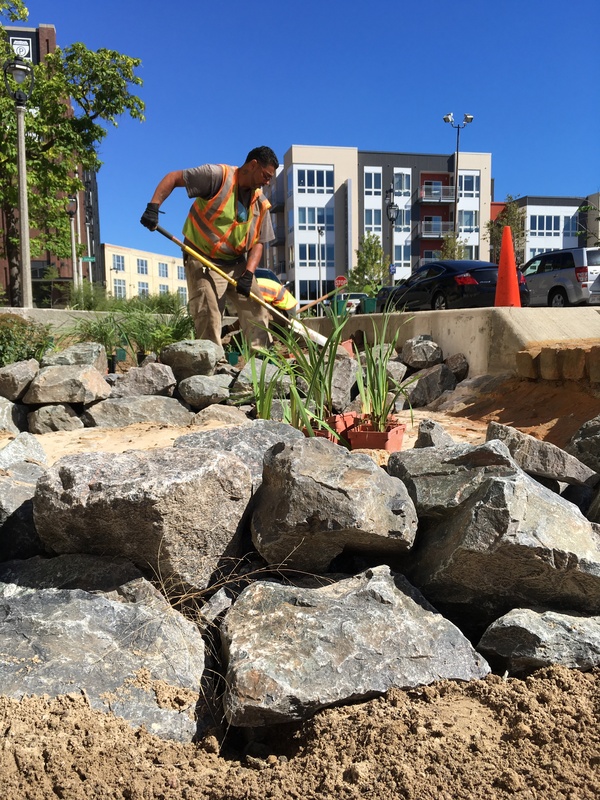 Stormwater management projects make sites more ecologically and economically sustainable and reduce the impact of stormwater pollution. Together, neighbors and partners have created a model for successful urban restoration. Thank you for continuing on our journey towards a more environmentally just and resilient community. Please watch the video by MMSD to see our initiatives in workforce development and environmental justice.